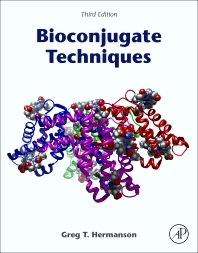 Bioconjugate Techniques, Third Edition, is the essential guide to the modification and cross linking of biomolecules for use in research, diagnostics, and therapeutics. It provides highly detailed information on the chemistry, reagent systems, and practical applications for creating labeled or conjugate molecules. It also describes dozens of reactions, with details on hundreds of commercially available reagents and the use of these reagents for modifying or crosslinking peptides and proteins, sugars and polysaccharides, nucleic acids and oligonucleotides, lipids, and synthetic polymers.